The Duke and Duchess of Cambridge have named their baby daughter, Charlotte Elizabeth Diana! Congratulations! I certainly approve of the name choice and obviously my mum is ecstatic for choosing a name fit for a Princess. Kate looked radiant in a custom yellow and cream, Jenny Packham dress. 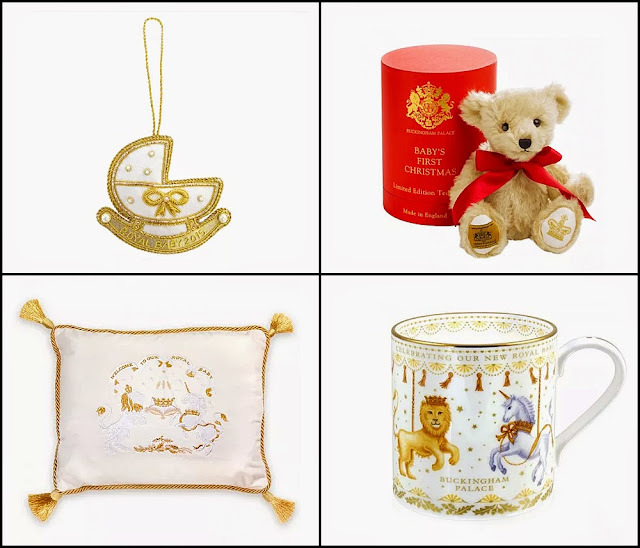 I'm not normally one for buying Royal memorabilia and merchandise but I may have to make an exception this time being as my name is going to be plastered over lots of place; mugs, tea towels, coins and yep, don't forget those Royal sick bags. I spotted a wonderful Emma Bridgewater mug (see above) on Good Morning Britain this morning which I'll definitely be purchasing if I can get my hands on one. It's the same design as "Hooray for George" baby mug. 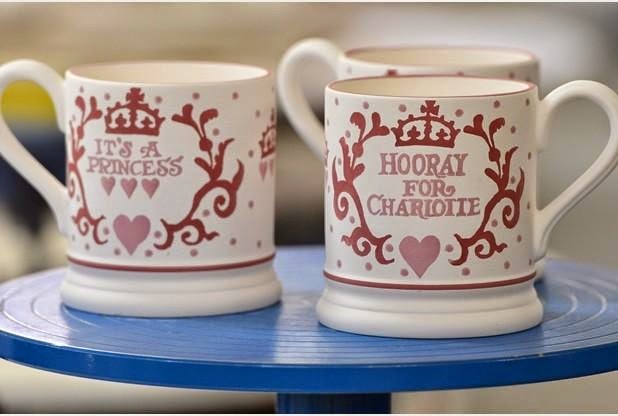 Charlotte, the feminine form of Charles, has a long royal pedigree and became popular in the 18th Century when it was the name of George III's queen. The King bought Buckingham House in 1761 for his wife Queen Charlotte to use as a family home close to St James's Palace - it became known as the Queen's House and is now Buckingham Palace. Charles is the name of two former kings and of the Prince of Wales, the princess's grandfather. Charlotte also has more recent connections for the royal couple. On the duchess's side, it is the middle name of her sister Pippa Middleton and on the duke's it is the name of his cousin Charlotte Spencer, Earl Spencer's youngest daughter. The earl tweeted: "Perfect names. 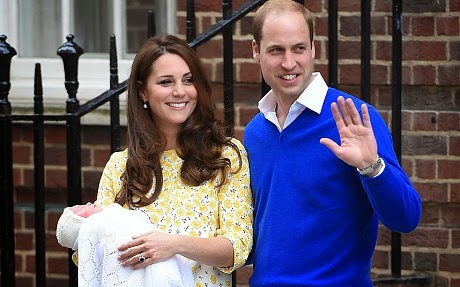 My 2-year old Charlotte Diana will be thrilled at cousinly name-sharing." According to figures from the Office for National Statistics, Charlotte is the 21st most popular girl's name in England and Wales with 2,242 babies being given it in 2013. I can predict a sudden boost in the name, Charlotte!